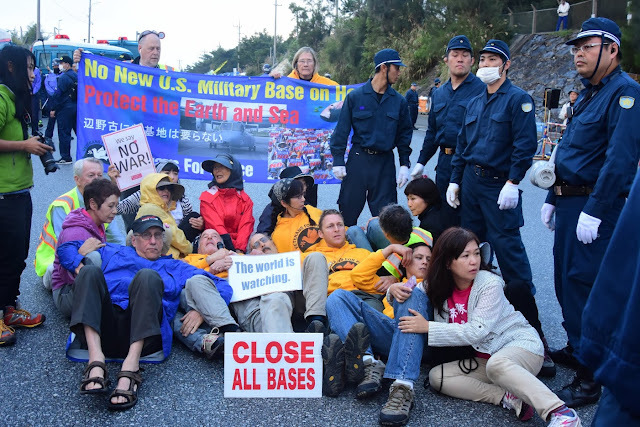 I am heading today to Boston from where I will fly to Okinawa to join another Veterans For Peace (VFP) delegation that will once again stand (and sit) with the people trying to stop US base expansion on their beleaguered island. Earlier this week VFP sent around an article about Okinawan protest leader Hiroji Yamashiro, 64, chairman of the Okinawa Peace Activity Center. He was arrested Oct. 16, 2016, and kept in prison for several months. During his incarceration, Yamashiro was stuck in solitary confinement for four months with no natural light after guards covered up his windows. He is now on trial and Japanese prosecutors seek a 2½-year prison sentence. Remarkably the Stars & Stripes military newspaper has just done a story about Yamashiro which you can find here. This will be VFP's third delegation to stand in solidarity with the Okinawan people. They have been protesting regularly since 1953 against US military bases but you'd never know about that from the media in the United States. They've elected a governor and many mayors who are actively opposing the US military expansions which are destroying their environment and damaging their culture. See an excellent documentary film on the Okinawan story here. I'll do my best to post as often as possible while there. The way we defeat this US military empire is to cut the military budget in Washington which has now reached one trillion a year. It's a difficult task but we also need to break thru the media silence about US bases overseas (there are more than 800 of them) and help the American people see how much global resentment and rage our military empire is causing. One thing you can do is come to Baltimore, Maryland on January 12-14, 2018 and attend the national Conference on U.S. Foreign Military Bases. We will be talking about Okinawa and many other places around the globe where the US military is occupying lands. I will be there participating in the plenary panel on US bases in the Asia-Pacific region. The latest edition of This Issue features Orlando Delogu, emeritus Professor of Law at the University of Southern Maine Law School. Orlando discusses the outrageous request by General Dynamics/BIW for a $60 million tax subsidy for their operations in Bath. Orlando sued General Dynamics in 1997 when they asked, and received, a similar subsidy from the state of Maine in the amount of $197 million. Orlando writes a regular column in The Forecaster weekly newspaper that is available throughout much of the state. He urges all Maine citizens to contact their state legislators immediately to share your feelings about this proposed tax subsidy. This Issue has been on public access TV in Maine since December 2003 and is produced by Eric Herter. Camera work for this edition of This Issue was done by Peter Woodruff and Dan Ellis while Eric worked in the control booth. This Issue runs each week during the following days/times on Brunswick's Cable TV Channel 3. This Issue also runs on Bath, Harpswell, Portland, Phippsburg, Freeport, Madison, Skowhegan, Anson, North Anson, Solon, Belfast, South Portland, New Castle, and Biddeford public access cable TV at random times. Check local listings. Thousands of cubic metres of radioactive waste lies buried under a concrete dome on the Enewetak Atoll in the Marshall Islands, the legacy of over a decade of US nuclear tests in the Pacific. This is a very moving documentary and should be watched by every human being on the planet. The pure arrogance of power by the US government to use the people of the Marshall Islands as guinea pigs, along with the Atomic American veterans, is unconscionable. If anyone doubted that the US government does not give a damn about the people then this film will change their thinking forever. Now CIA Director Mike Pompeo speaking at the 2012 CPAC in Washington, D.C. February 2012. The parallels have become remarkably close as the Trump administration has tried to get people to believe there is some sort of cooperation and common purpose between Iran and Al Qaeda. The President made this insinuation in his speech on Iran in October. 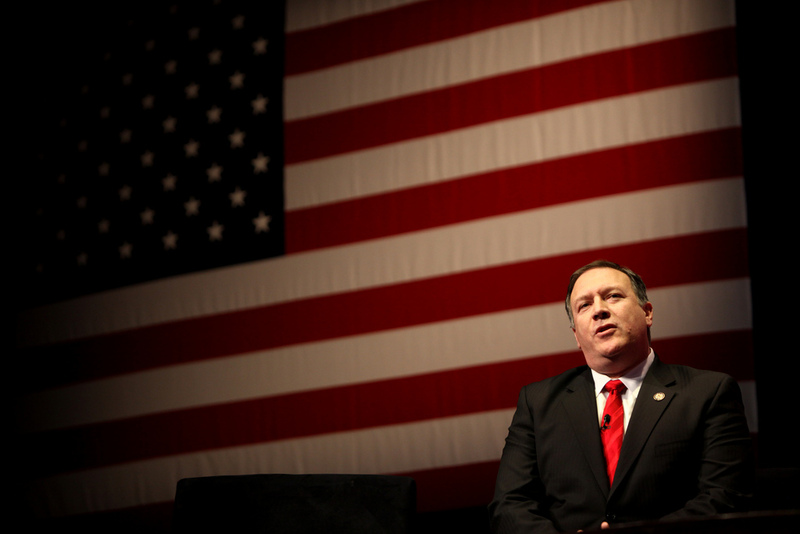 Then his CIA director, Mike Pompeo, ordered a tendentious re-exploitation of already exploited documents captured in the raid at Abbottabad, Pakistan, that killed Osama bin Laden. This time the purpose was to find any possible connection between bin Laden’s group and Iran. Pompeo took the highly unusual step of giving an advance look at the selected documents to an advocacy organization: the Foundation for Defense of Democracies (FDD), a leader of efforts to kill the agreement that limits Iran’s nuclear program. FDD duly did its part in the insinuation by highlighting a single document that it depicted as suggesting some sort of Iranian assistance to Al Qaeda. This was despite the fact that the thrust of the Abbottabad documents as far as Iran is concerned is that Tehran was in conflict, not cooperation, with Al Qaeda. This remains the judgment of experts who follow the terrorist group closely. Even the very document FDD highlighted did not say what those highlighting it contended it said. It held no evidence of any Iranian assistance to Al Qaeda. This entire effort to manipulate public perceptions has been remarkably similar to the efforts by promoters of the Iraq War to use whatever scraps they could find to suggest that there was, in George W. Bush’s words, an “alliance” between the Iraqi regime and Al Qaeda that in fact never existed. Our antennae ought to be raised very high regarding the motives and reality lying behind anything that comes out of this attempt to manipulate public perceptions. Imagine that, in a parallel universe that Donald Trump did not inhabit, the White House was sincerely trying to help the public understand whatever was the foreign policy problem at hand. The problem in this case is the Yemeni civil war, which originated with discontent among northern tribes about how their interests were treated by the central government. The education of the public would note that large-scale intervention led by Saudi Arabia — which has a long history of conflict with, and demographic and security concerns about, Yemen — turned the civil war into bigger carnage. An aerial assault by Saudi Arabia and its ally the United Arab Emirates, together with a Saudi-imposed blockade, has further turned Yemen into a humanitarian catastrophe. Meanwhile, some Iranian assistance reportedly has gone from Iran to the principal northern tribe, known as the Houthis. By any reasonable account, the physical impact of any such aid is minor compared to the Saudi military offensive. The lesson to the public might note that the Houthis have been among the staunchest adversaries of Al Qaeda’s branch in Yemen. It might also note that the Houthis have been allied for most of the war with former president Ali Abdullah Saleh, who during more than three decades in power became known as America’s man in Yemen. The Saudi air war has devastated Yemen. Is it any surprise that those now in power in the Yemeni capital of Sana (i.e., the Houthi-led coalition) would try to get off a few shots at Saudi Arabia in response? Should we even condemn this effort to strike back, any more than the much bigger strikes in the other direction? The Trump administration’s efforts to highlight this one facet of a much larger war serve two of its objectives. One is to continue its overall campaign to pin on Iran all blame for any mayhem in the Middle East. The other is to distract as much attention as possible from the indefensible U.S. support (which began during the previous administration) for the Saudi offensive against Yemen. Meanwhile, the cherry-picking conveys to the public a false impression of what the Yemeni war is all about and what has caused it to take the shape that it has. Lynch and De Luce report that the effort by the Trump White House to make public cherry-picked intelligence about Houthi-fired missiles is intended to influence not just a domestic audience but also opinion at the United Nations. Here is yet another parallel with the selling of the Iraq War. Specifically, it evokes the presentation to the Security Council in February 2003 by Secretary of State Colin Powell, who — against Powell’s own better judgment and contrary to the judgment of the U.S. intelligence community — laid out some scraps intended to persuade people that the non-existent alliance between Iraq and Al Qaeda really existed. Such misuse of intelligence means foreign policy is being made on the basis of badly mistaken premises. The public sales job makes the misunderstanding all the worse, both because misperceptions are infused into a larger audience and because salesmen who are strongly committed to their cause — as was the case with the chief promoters of the Iraq War — come to believe their own propaganda. The misuse also represents a subversion of the proper function of the intelligence agencies. Intelligence is supposed to inform policymakers to help them in making decisions they have not yet made. The agencies do not exist to be tools to sell publicly policy that already has been made. The Trump administration is not the first to commit such misuse, but the misuse fits a pattern of how Trump has handled other government departments and agencies. That pattern, featuring many fox-running-the-henhouse senior appointments, has been one of subverting rather than executing the mission of agencies. ~ Paul R. Pillar, in his 28 years at the Central Intelligence Agency, rose to be one of the agency’s top analysts. He is author most recently of Why America Misunderstands the World. We had 14 people from around the state gather at the Addams-Melman House yesterday in Bath to discuss the proposed $60 million tax subsidy from the state of Maine to General Dynamics which owns Bath Iron Works (BIW). We reviewed what has been done so far and underscored the urgent need for all Mainers to directly contact their state legislators and urge them to vote against more tax give-aways for one of the richest weapons corporations on the planet. 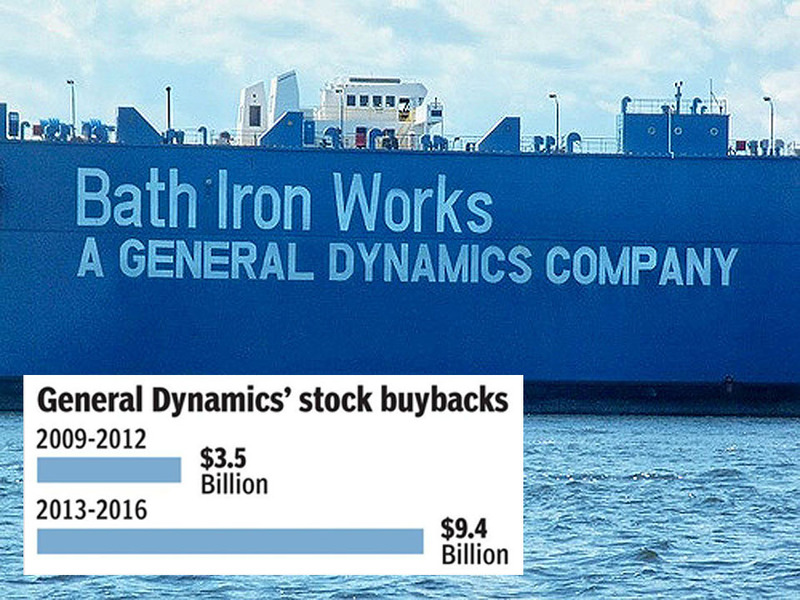 Underscore the unfairness of giving tax breaks to General Dynamics which spent $9.4 billion between 2013-2016 buying back their own stock. See here for more info on that. Transparency - if General Dynamics needs $60 million so badly from a poor state like Maine then let them open their accounting books for public review before granting them more money. 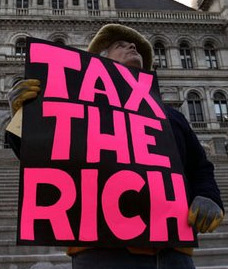 The US Senate just voted to cut the corporate tax rate from 35 to 20 percent. Isn't that enough for General Dynamics? In spite of all their profits they still want even more from the taxpayers of Maine, Rhode Island and Connecticut where they have military shipbuilding operations. It's crazy.